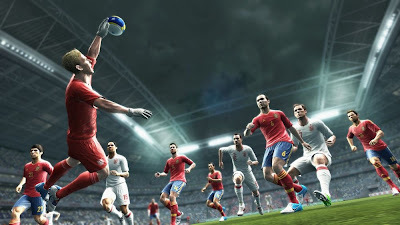 Konami have announced the Xbox 360 and Playstation 3 versions of the PES 2013 Facebook app, myPES, will be released on Tuesday 13th November. "After delays due to technical issues, the Facebook application (myPES2013) will be made available to our customers on 13/11/2012." The PC version of the myPES2013 application was released last month. "We have received reports from a number of customers that they are being paired with opponents whose ratings are outside the displayed range in Ranked Match. "We are aware of this issue and are already investigating the causes."